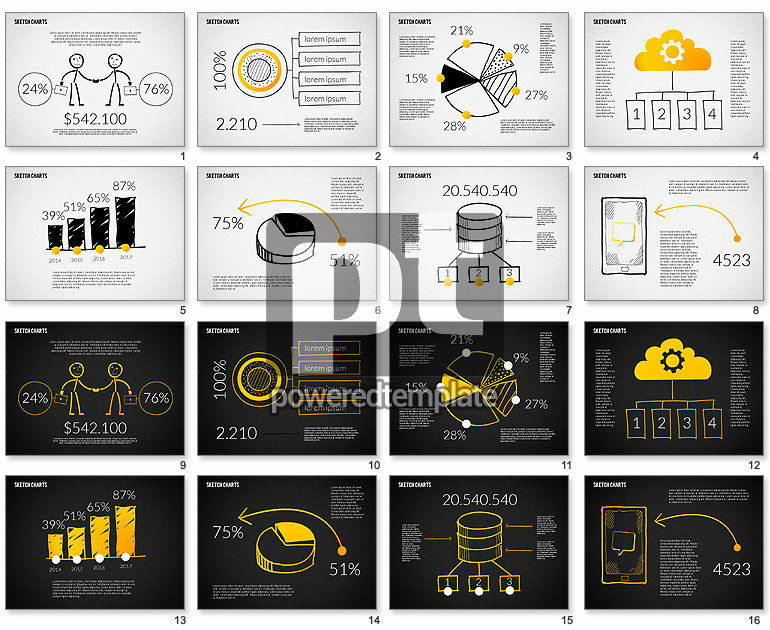 These presentation slides 45254 are complete compatible with Google Slides. Simple download PPTX and open the template in Google Slides. Don’t hesitate to pick this cute template created in a positive hand drawn manner. It shows cute people shaking hands, percentage, clouds, scales, pie charts, numbers, arrows, smartphones and other elements. It is a great way to visualize such aspects as team plans, business plans, making deals, networking, partnership and so on. Your audience will definitely like this nice and clear sample.